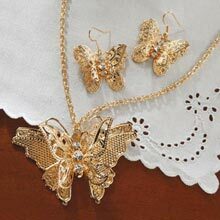 As graceful and pretty as the real thing! 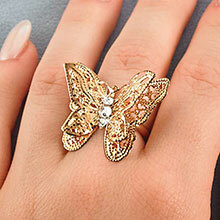 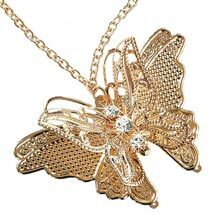 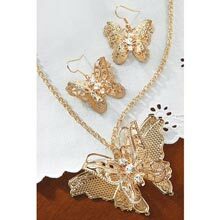 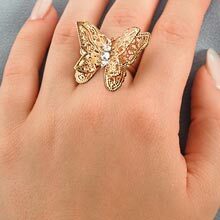 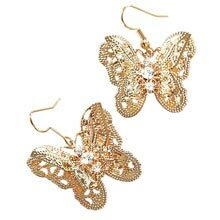 Intricately detailed gold-tone butterflies sparkle with clear crystals on this 3-D Filigree Butterfly Jewellery Set. Pendent, 2¾"w on 26"l chain; French wire earrings, 1¾"l. Enlarged to show detail.